It’s a question we hear a lot. And while there was a time when social media could successfully be done for free, that time is probably over. Still, if you’ve absolutely no budget, you can still get some traction from social media. But any company that really wants to make progress will find it easier and more effective to spend a little money. Here’s why the age of free social media is basically over. 1. Facebook’s organic reach is basically zero. The first changes you'll see will be in News Feed, where you can expect to see more from your friends, family and groups. That means (among other things) that Facebook’s already slim organic reach will fall to basically zero. Even if you have thousands of followers, probably only a dozen or so of them will see your posts on a regular basis. Organic reach has been falling rapidly over the last few years, but as the Wall Street Journal said of this most recent announcement, this change will basically be “the nail in the coffin” of organic reach. Even before this announcement, organic reach for most brands was below 1%. So if you want people to see your content on Facebook now, you’re basically going to have to pay for it. 2. Facebook’s referral traffic has dropped in the last year. 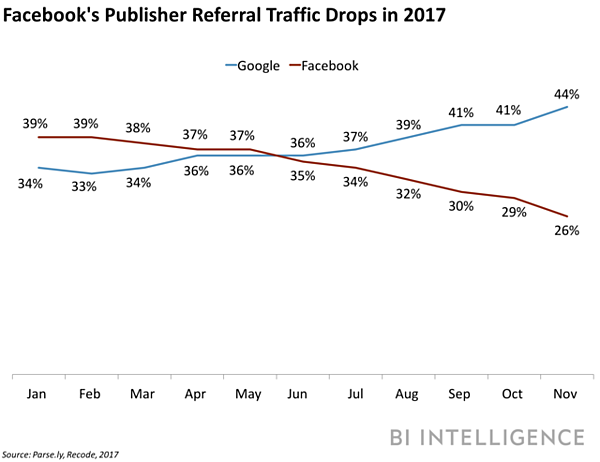 Facebook is still giving Google an excellent run for its money when it comes to referral traffic. But Facebook also tends to prefer content that keeps people on their site. And so if you want traffic to your website, and you want that traffic to be from Facebook, you may need to pay for it. Or you’re going to have to work harder and smarter than ever before (so you’ll pay in time and effort rather than money). 3. As other social media sites get more crowded, they too will require some spending if you want to get your content seen. There’s more to social media than Facebook, of course (though it is the 800-pound gorilla of social media). LinkedIn is important – it’s essential for B2B marketers. And Instagram is developing rapidly and is already a powerhouse. And then there’s Twitter, YouTube, and Pinterest, all of which can work beautifully for specialized audiences. But as these platforms become more competitive, they will also require some spending if you want to get more of your content seen. 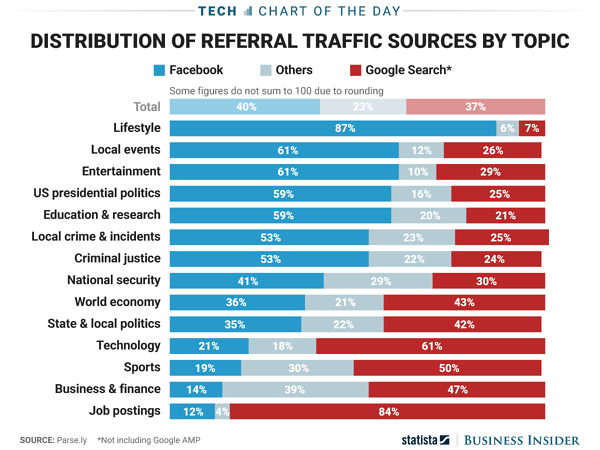 And in terms of referral traffic, they’re still dwarfed by Facebook. Basically, as ad inventory gets tighter and costs rise on Facebook (CPMs were up 171% just last year! ), it only makes sense that advertisers will begin testing other platforms. That’s going to drive up costs. And so even if you can get leads on LinkedIn for $40-60 now, by the end of 2018, you’ll probably be paying more. Facebook’s advertising costs are skyrocketing, as ad inventories dwindle. That could drive advertisers to other platforms and increase advertising costs. 4. Social media is complex enough that even if you can’t afford advertising, you should invest in a scheduling and analytics tool. It is true that almost every social media platform has basic scheduling functionality. And they all offer analytics reports. But managing these on a platform-by-platform basis is difficult. If your time is worth more than a few dollars per hour to you, it’s smart to spend some budget on a good scheduling and marketing analytics tool (or tools). Social media is just too complex now to be doing it 100% manually. So does all that mean that you can’t do social media without spending money? Well, no. But it will be far easier and you’ll get better results if you can afford to spend some money. Early adopters can do well on social media. Very well. Right now, there’s a major opportunity with Facebook Messenger for marketers who are willing to test. 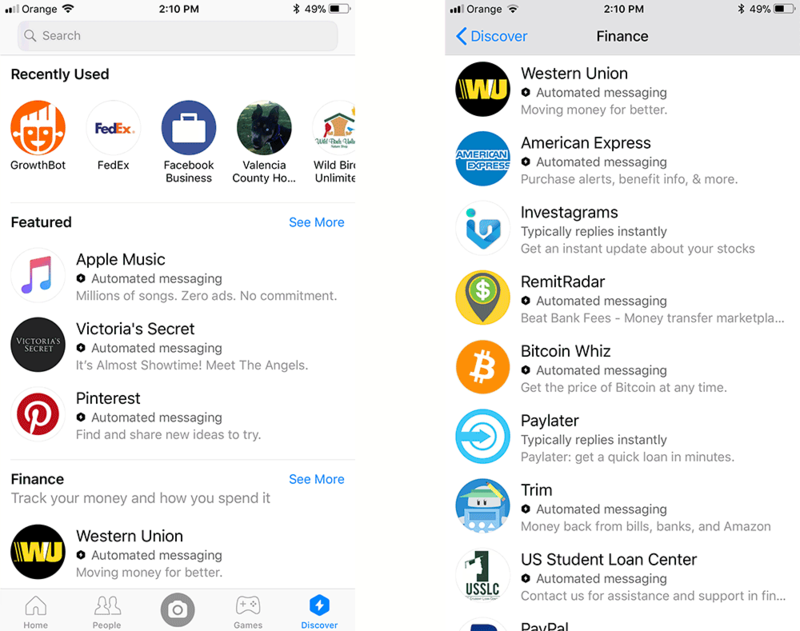 Our Ultimate Guide to Facebook Messenger Ads can show you how to get started with the advertising part. But you can do Messenger marketing without advertising, too. Hundreds of thousands of companies, bots and people are on Messenger. If you’re not there yet, it’s time to start experimenting. 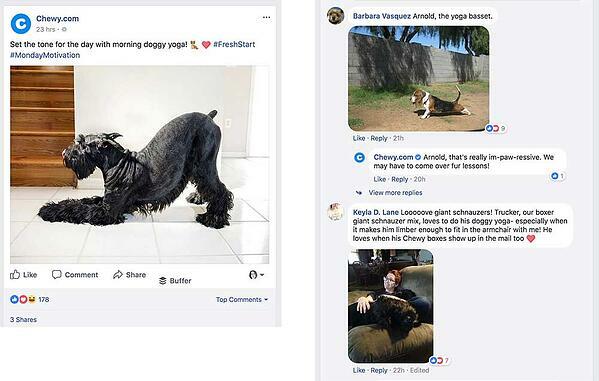 There are still plenty examples of “viral” campaigns on social media. And even if your posts don’t quite achieve full viral glory, usually there’s a post or two every week or so that just does better than average. Every marketer gets lucky once in a while. We suggest you boost those posts. This means you’ll sacrifice some control, of course. But social media isn’t straight-up old-style advertising. We can’t just broadcast any old message (unless you want to blow your budget). But we can “ride the wave” of popular content. So consider investing what advertising budget you do have in posts that just naturally work. Work with the algorithms, rather than trying to force messages and posts that people just don’t care about. 3. Publish more of what works. If your budget is small, you may have to invest more time and creativity into your posts than your more affluent competitors do. You’ll pay in time and effort rather than paying in dollars. Whether it’s creating a new conversion type for a lead generation company, being more appealing with your ad copy doing a better job of not over-saturating your audience, or creating a retargeting funnel, there are many ways to get more creative with your advertising; and 2018 is the year you’ll have to flex those muscles to get the returns you need. User-generated content can do particularly well on social media. And now that Facebook’s News Feed will be more tuned to posts from friends and family, user-generated content may do even better. Still not sure you can scare up enough budget to employ even those low-budget tactics? Don’t worry – and don’t abandon social. There are important things you can still do (and should do) on social media that don’t require a dime of advertising. Consumers expect a response to any complaint or request made on social media. And usually, they expect those responses fast. Customer service is typically done through Facebook or Twitter. But because these messages are direct, you don’t have to spend any money to communicate with people. 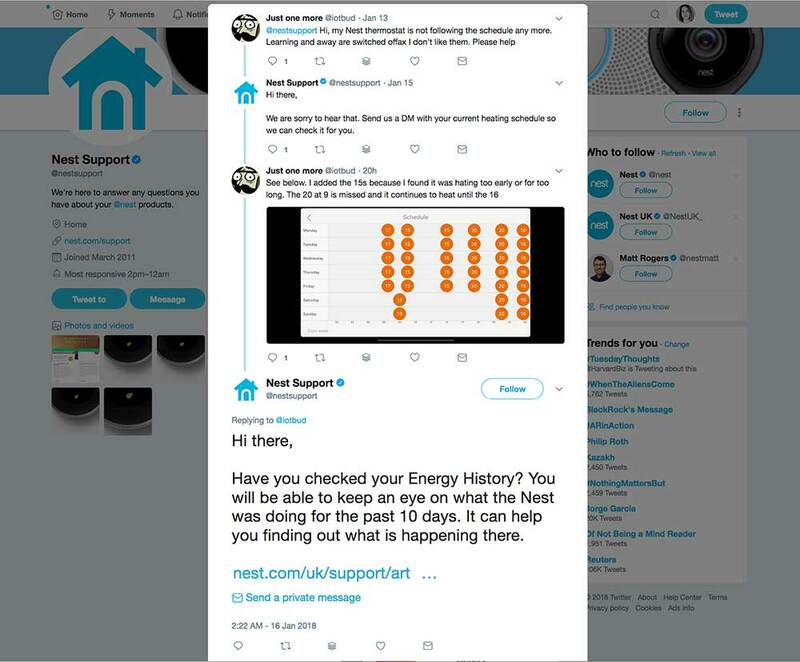 And if you can respond to social media customer service messages fast (Check our Nest’s Twitter page for inspiration), you’ll keep existing customers and show prospective customers just how good you are. Most consumers expect a quick reply to customer service issues on Twitter. · Give prospective employees an idea of what you’d be like to work for. Hiring isn’t the first thing we think of when we think about social media, but your social media feeds can definitely help with it. 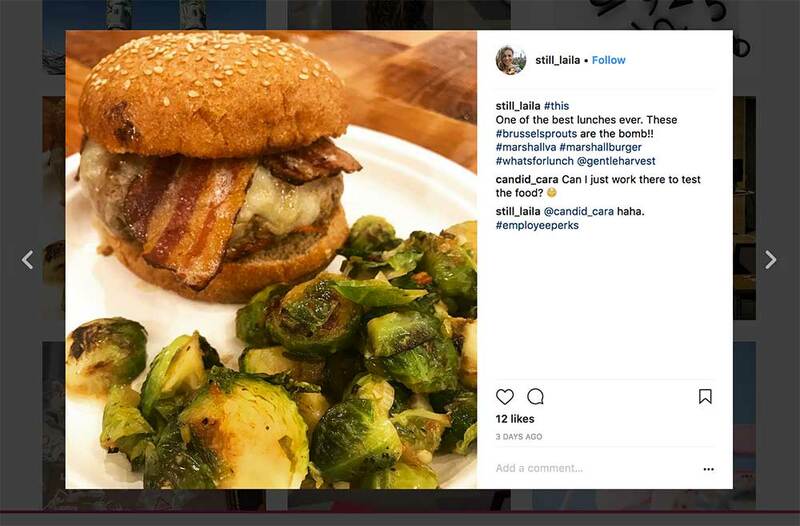 Instagram is particularly good for sharing in-office photos, but Facebook and Twitter are worth trying, too. 5. Use your social media posts to supplement your email newsletters or your blog. Do you stress about what to put in your email newsletters? Stress no more: Social can save your bacon. Just use some of your social media posts to flesh out the empty spaces in your emails. Actually, you could see your social media posts as a way to test content for your email newsletter audience. 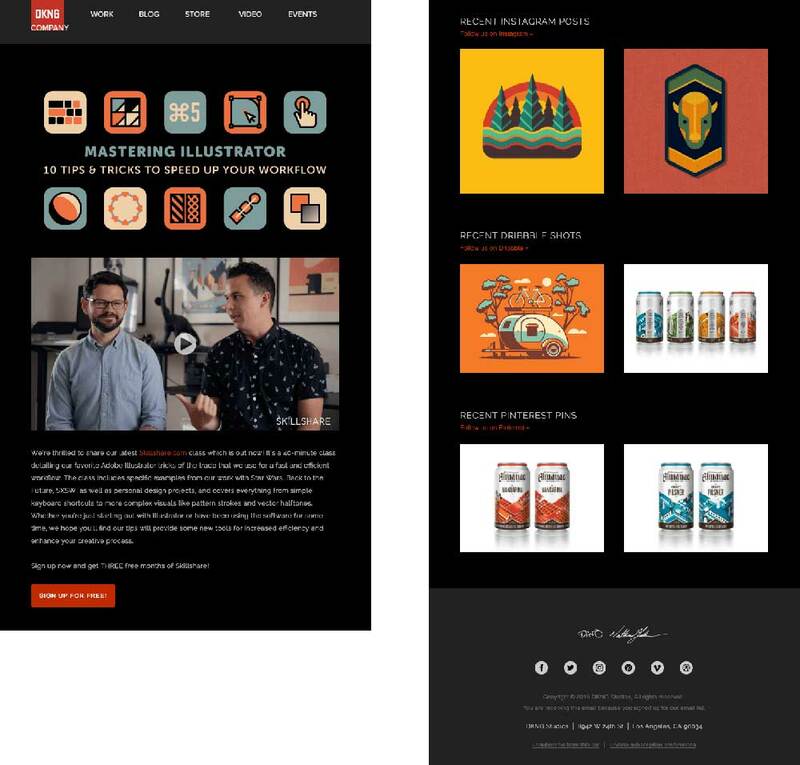 Just repurpose your most popular posts from the last week into your email newsletter. Voilà: You’ll have plenty of content – and top-performing content, too. And that means more email engagement. Honestly, you’re going to pay for your social media engagement one way or another. It’s just a question of whether you’ll pay for it in money, or you’ll pay for it in time and effort. That said, you can still cut your costs, both in terms of money and in terms of time and effort. Just get smart about reusing content, and use what advertising budget you do have to boost what’s already working. Or start to pay more attention to your social media reports. With a good analytics tool, you’ll be able to see what works for your audience much more clearly. And that means you can serve up content that’s more successful – whether you decide to boost it with advertising or not. What Happens After You Write That Ebook?